Will The New Management Push Restaurant Brands’ Growth Further? Can Burger King Be A Growth Driver For Restaurant Brands International In The Third Quarter? Why Are We Bullish On Restaurant Brands International? Will Burger King Again Be The Revenue Driver For Restaurant Brands International In The First Quarter? As per our Trefis Valuation methodology, Restaurant Brands International (NYSE: QSR) stock is worth $68, which is just 3% higher than the current market price. Our Price Estimate is based on a P/E multiple of 25.15 which is similar to what the stock has traded at in the last quarter, and an earnings estimate of $2.69 for FY 2019. The company had a strong end to FY 2018, wherein the company posted a revenue of $5.4 billion, up by 17% year on year (YOY). While the earnings were down due to strong cost headwinds. For Fiscal year 2019 we expect Restaurant Brands International to have a positive growth and report revenues around $5.7 billion and Net Income is also expected to increase to $623 million. We have summarized our expectations on our interactive dashboard platform, What is Restaurant Brands International Inc’s Fundamental Value? In addition, here is more Consumer Discretionary data. The growth in earnings has been preceded by a positive expected growth in Total revenue estimated at $5.7 billion from its 3 segments for FY 2019 . Burger King segment is expected to continue its strong growth and expected to post revenue of $1.8 billion in 2019. This is in line with the expansion plan the company has for the franchise. Tim Hortons segment has been steadily growing and is the company’s highest contributor to Total Revenue. 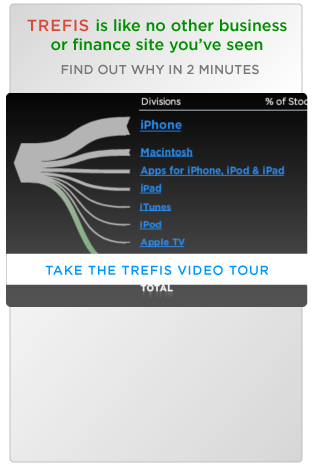 Trefis estimates the segment to continue its steady growth and post revenue of nearly $3.5 billion in 2019. Popeyes Louisiana Kitchen segment is the newest but has seen strong growth since the takeover by Restaurant Brands International. We expect the growth to continue as the company continues to expand by adding more restaurants. The company is expected to have a small increase in EBITDA margins while the Indirect expenses are expected to follow the past trend. Consequently, Trefis estimates Net Income to be around $623 million. In conclusion, Restaurant Brands International has a positive outlook for FY 2019 and according to current Trefis estimates we think the fundamental value of the stock is nearly in line with the current market price.